MACC HITS 1500!!!! Celebrate and Get Organized! Time to celebrate! 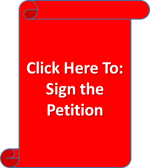 Minnesotans Against Common Core has reached 1500 members! Thank you for inviting friends and family. As we grow, more Minnesotans learn about the devastating effects of Common Core and the restrictive requirements of the grants – Race to the Top and No Child Left Behind Waivers. Our mission here at MACC is to repeal the Common Core Standards reform system. A great way to organize for the coming Legislative Session is to put together a small notebook that you keep by your phone. As a constituent, your own personal senator and representative are key in voicing your concerns. Each senator and representative has a legislative assistant who handles scheduling and other matters. The Education Committee Chairs are responsible for working on education resolutions and, in the end, the committee will vote either up or down on the resolution. If the resolution passes out of committee (approved), it formally becomes a bill. Add your personal state senator and state representative to your notebook and/or speed dial. Additionally, add the names of the Education Committee Chairs and their Legislative Assistants. Add all six e-mails to your e-mail box. Phone and E-mail information on senate and house members can be found in our Minnesota Specific file tab (above). Here is the information on the Education Committees. As we find out legislative positions pro and con, you will have easy access to phone your legislators. Send them an e-mail a week based on that week’s happenings within the committees.